Adonai’s word told us that right would be come wrong and wrong would become right. The evil forces would take over the world and declare war on all Jews and try to wipe us off the face of the earth. Satan also wants to wipe all Christians off the face of the earth tambem. The war on Adonai’s people is now in full swing. These attacks and declaration of war is not headline news. Very few news outlets talk about the Christian genocide that is taking place in Iraq, The Middle East and all over the continent of Africa. Heck for a matter of fact no one is talking about the anti Semitism that is taking hold in Europe and the attack on my people the Jews in this country as well. All of this is flying under the radar. Mark Levin opened his show on Friday talking about a Rabbi that was murdered in cold blood. Fox News, CNN, ABC, NBC, CBS, MSNBC, and all of the other news outlets never said a peep or reported this story about his murder. 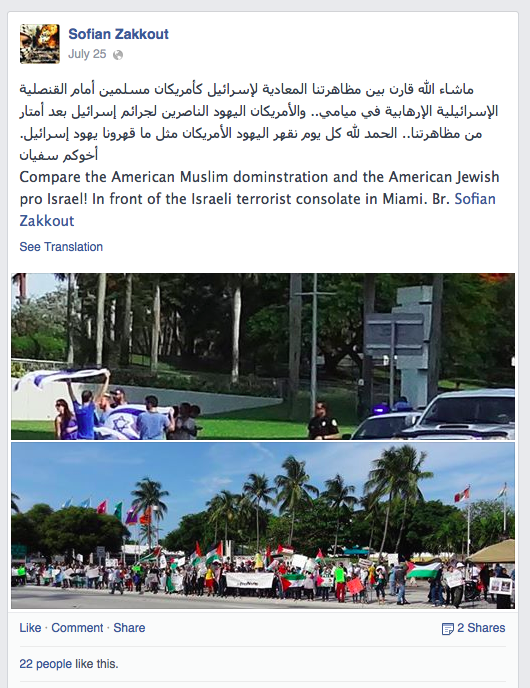 Now the money quote “Zakkout who is based in Miami, took again to his Facebook page where he penned a political diatribe that included America “was contaminated by the Jews.” ” Breitbart news. This should send shock waves down ones spine yet no one gives a crap about what is going on. Adonai warned us that we would turn a blind eye to the real war that is taking place on earth. We are not fighting against flesh and blood but against principalities of evil that want to destroy us. Satan wants to wipe all of Adonai’s people out and this includes both my people The Jews and all Christians. The Church sits by and does nothing. There are only a few of Adonai’s people who are taking a stand. 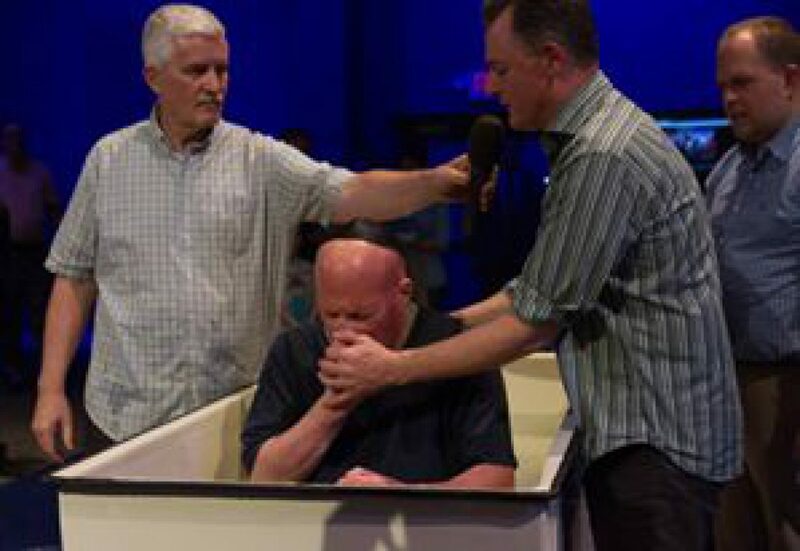 Two that I personally know of who are real spiritual warriors are Pastors Steve and Kathy Gray. These two people are anointed and blessed by Adonai. They have and are waging a war against Satan. Pastors Steve and Kathy Gray have a real bulls eye on their backs and both need our prayers to help them fight this spiritual war against Satan. Folks this is more serious than a heart attack. It is a battle for man’s soul and who will rule. Adonai’s word declares that we win. The Department of Homeland Security awarded $70,000 in 2007 to an organization Zakkout founded, American Muslims for Emergency Relief (AMER). The Miami-Dade County Corps Council awarded Zakkout for his “outstanding” service. Miami-Dade commissioners appointed him to the Community Relations Board and the Asian Advisory Board. Former Broward County Mayor Kristin Jacobs appointed him to the Broward County Diversity Advisory Council. As of 2010, his bio informs us, he was an active board member at Miami Dade County Citizen Corps, Miami-Dade Crime Watch for Citizens, and Miami-Dade Crime Stoppers. 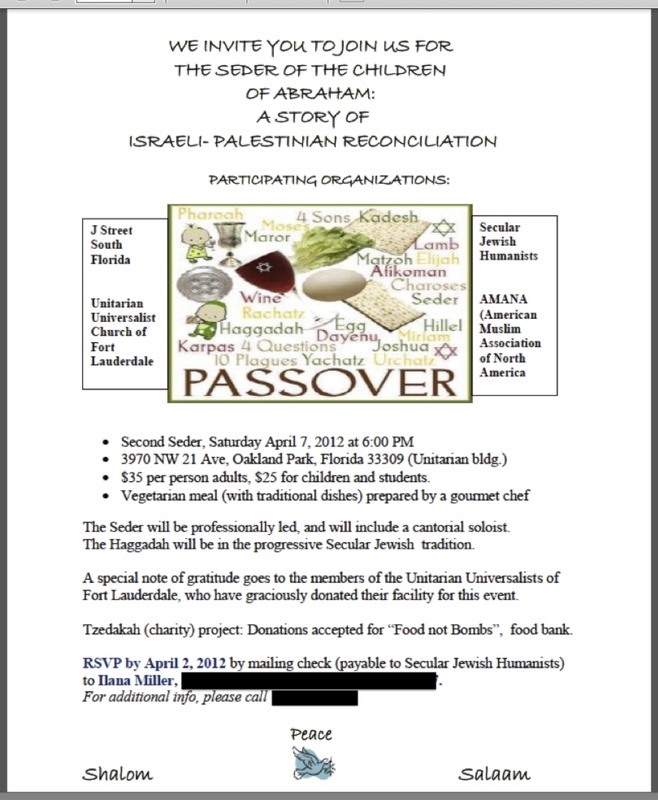 How can someone delusional about Israel and with such repulsive intentions toward American Jews have these prestigious affiliations and activities? Simple: In part, by hiding his views from those who would object. 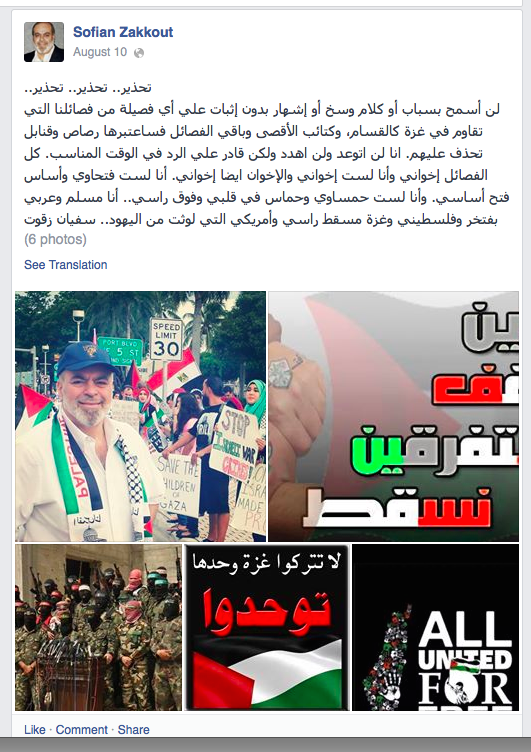 He posted his “conquer the American Jews” statement only in Arabic; in English, he limited himself to less incendiary statements. These are merely the most recent documented examples of Zakkout broadcasting his hostile beliefs. Joe Kaufman of Americans Against Hate has warned for years about Zakkout’s views, documenting instances of anti-Christian, anti-gay, and anti-Jewish rhetoric on the AMANA website. More: the AMANA site used to link to the Al-Haramain Foundation, a Saudi “charity” that fundraised for Al-Qaeda. With such a history, it leaves one to wonder how many others like Zakkout hide behind terms like “understanding” and “interfaith dialogue” while harboring deeply un-American sentiments. That Zakkout has simultaneously made outrageous anti-Semitic and other bigoted statements while also being embraced by the government and Jewish organizations is a disgrace that must be immediately rectified. The time has come for those organizations to repudiate him and denounce him. Danielle Avel is a photojournalist and investigative researcher. She can be reached through her website, on Twitter and on Facebook. The Sixties Radical- Really! This is What The News Media Has Become? As we enter into the Christmas season the left is loaded for bear. These folks want to destroy any thing that stands in their way of attacking the true meaning of Christmas. Now the big argument on TV is whether Santa Claus is white. Give me a break. This dude Santa Claus is a made up character. He never existed. Jeaze folks get real. We have the country falling apart. We have Obama breaking the law left and right. Obama is shredding the Constitution and turning this into hell on earth! And the state-run and state controlled media want to talk about and make a big deal out of is Santa Claus white? If one doesn’t go along with the party line no matter what it is that person is either fired or made fun of. This is Stalinism at its best. The thought and speech police are out in full force. This just goes to show how outta touch the entire state controlled media is or is this just a rooz to promote Stalinism. We have a country where hedonism is the morality of the day. Congress, Obama, and the Supreme Court have decided they are rulers over us. King Obama and his minions are ruling us with an iron fist. Our leaders tell us to shut up and take it. We are the sovereign not you the people. We must bow to them and worship at their feet. King Obama and the rest of leaders in the House and Senate think they are god and supreme ruler over us all. This is what happens when my Adonai of the Torah and Tanakh is kicked to the curb. Everything is turned upside down. Wrong becomes right. Right becomes wrong. The civil society breaks down and lawlessness is now the new laws of he land. This is exactly what is happening right now before our very eyes. As banality of arguing over whether Santa Claus is white we see how far we gotten away from the word of Adonai. Adonai’s word is what this country was founded upon. Mark Levin is right! Mark said we are unmoored from our Constitution. I would take it a step further we have turned our backs on the Adonai’s word and this is why we are in the predicament we are in. Rush is right também. Rush told us all what the news media is all about! It is one big soap opera that does not have any basis is reality except to push their agenda or story of the day or week. Now the word of Adonai, the Torah and Tanakh is now hate speech. Freedom, liberty, freedom of choice, the Constitution and Bill of Rights are now considered wrong. This is how crazy it has gotten as the media debates the virtues of is Santa Claus is white? a teacher in New Mexico was put on administrative leave for telling a black student Santa Claus is white. We are missing the entire point. Adonai is warning us to please return to HIS word. Adonai shouting please bring me back into your life and I will show you true peace, prosperity and grace if you follow MY word. Let us remember Yeshua was not born December 25th. Yeshua was born between the Feast of The Tabernacles and Yom Kipper.